Great location overlooking Strathpeffer, with scenery of the Northern Highlands, the Bay Highland is a striking hotel in the leafy Victorian town of Strathpeffer. The Highland Hotel is a truly spectacular destination for indoor and outdoor events, surrounded by the dramatic scenery of Scotland’s Northern Highlands. 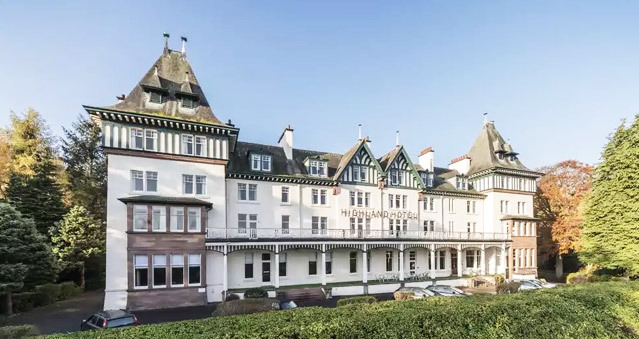 Situated in attractive grounds and gardens, surrounded by the dramatic scenery of Scotland’s Northern Highlands, this impressive hotel features.It is surrounded by spectacular Scottish countryside while the city of Inverness is just 30 minutes away.